“Experienced elementary school teacher Landes suggests, in a positively focused workbook, that changing a child’s reaction to bullying may help them turn lemons into lemonade. There is an introduction for children and one for the parents, in which the author explains how the book is meant to be used and re-used as needed. It is a thoughtful and insightful book, in good-sized print, and soft-bound for easy handling. The book takes the child on a journey of self-discovery, helping them explore their feelings, pay attention to what they tell themselves, how they react to what others say, and how they actually feel about themselves. Each chapter has lined pages in which the child can write the answers to the questions, and they are encouraged to take the time to think carefully about their real feelings and not rush to finish. Linda Landes is a retired 5th grade teacher who was very much affected by the number of children in her classes who were bullied at school. She told us how often she would have to act as counselor and confidant to these children, who were ill-prepared for the trauma bullying could entail. She wanted to write a manual that would prepare children for the bullying that goes on, not only in school, but throughout our lives. “You Can’t Bully Me” identifies types of bullying including not only people who call us names or make fun of something about us, but people who cut us off on the road, honk their horns impatiently; people who tell us how to live, how often to cut our grass, where to park, etc., etc. She provides simple and easy methods to protect ourselves from reacting harshly, explore and choose our reactions and feel good about ourselves. Each exercise brings the child closer and closer to the heart of their feelings of self-worth, or lack of self-worth. They encourage the child to pay attention to their reactions, discover why they happen, and how they feel about what’s going on. 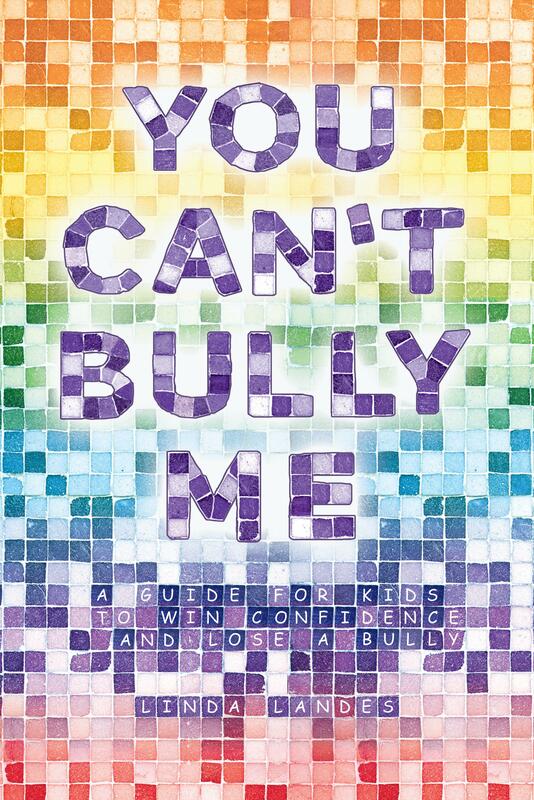 “You Can’t Bully Me” includes insights on how to develop gratitude for gifts that we have, how to focus on the positive, how to love ourselves and be our own best friends. I intend to send a copy to my stepson, who has been a target of bullying, to let him know that he is a wonderful person and that he’s on the right track to manhood and a wonderful life. I recommend this book with pleasure!